Hidden treasure: your one stop shop for all things local. 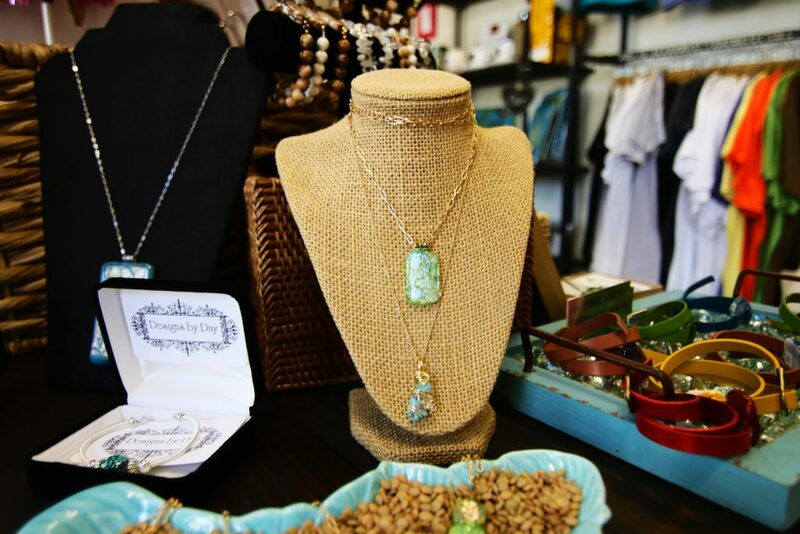 A hidden gem in the middle of downtown, The St. Pete Store is a sleeper hit. 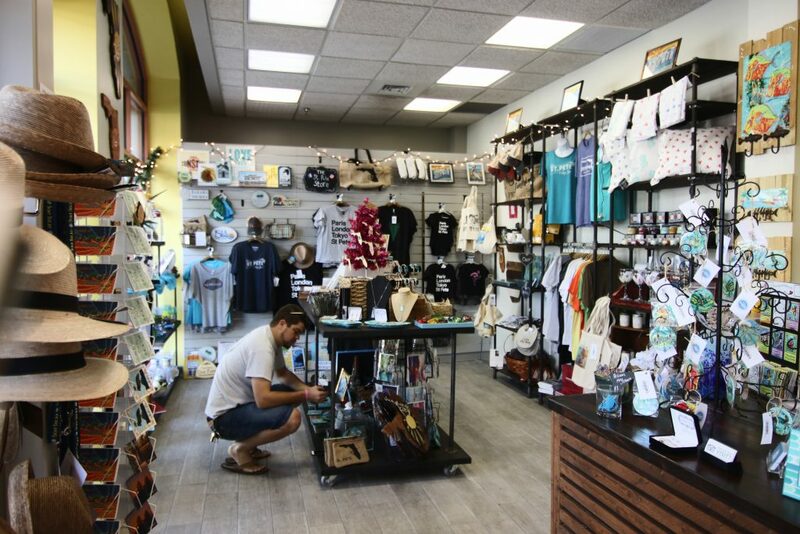 In place of the usual t-shirt and commemorative pen display, the St. Pete Store boasts an extensive collection of art and goods by local artists and makers. Not just any artist can sell their goods in the store, either. All merchandise must have local ties to the St. Pete and it must go through a careful jury selection process by a secret 4-person panel of local artist peers. Racking up more than 16,000 visitors last year, and pushing even better numbers through 2017, The St. Pete Store is more than the typical visitors center. Although the St. Pete Store is right downtown, across the street from Sundial, it is nestled between two giants, the Chamber of Commerce and Hancock Bank (100 2nd Ave N). And window shopping simply doesn’t do it justice. A walk through the door and into the invitingly bright and colorful space is necessary for any visitor. A vibrant mural by local artist Derek Donnelly and warm wood textures courtesy of local furniture maker Chris Longmire of Curahee Vintage and Industrial Furniture greet visitors. Smaller goods and treasures invite them further into the store. Arguably even more inviting than the goods themselves, store coordinators and volunteers offer local knowledge and stories behind each artist and item, and guide visitors through the store displays. 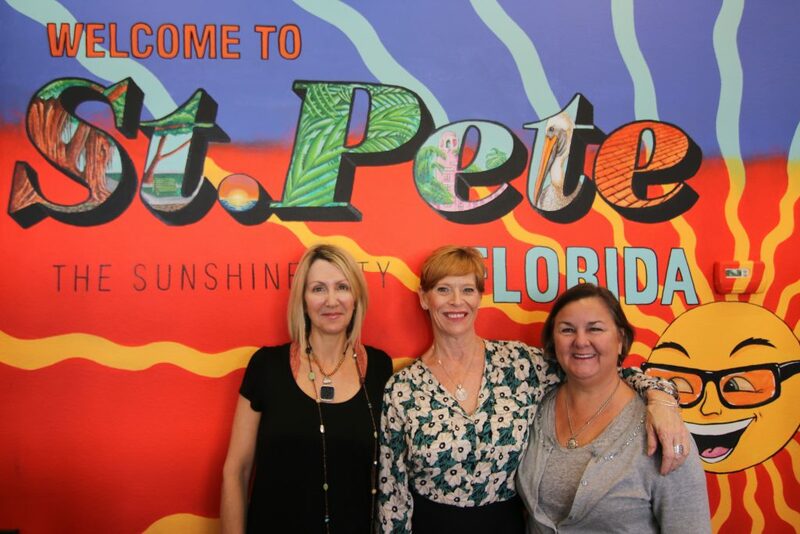 The St. Pete Store began as an effort by the St. Pete Chamber of Commerce (in collaboration with the City of St. Petersburg) to showcase local artists and makers to those visiting our Sunshine City. Helping to bolster the art community, the sale of each item brings 60% of the profit back to the artist who created it. But the Store has grown beyond all expectations – and its not just for visitors. From humble beginnings, the St. Pete Store has grown into a haven of local art with a beautifully curated feel reminiscent of some of our favorite local boutiques. Alongside the arts & crafts, the St. Pete Store offers wonderful city advice for any occasion. Family in town and wondering where to take them? The St. Pete Store can help. Wondering which museums to visit or need details on upcoming events? 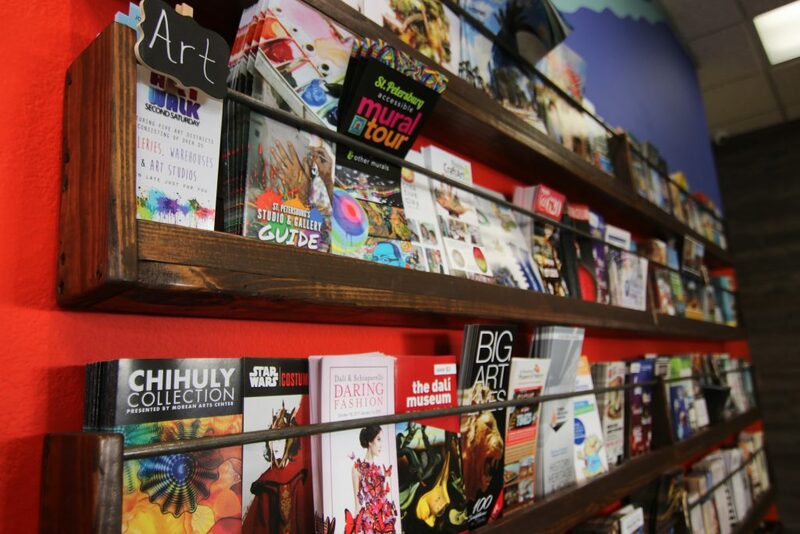 The store provides the latest information, brochures, and discounts to the city’s best cultural hubs. 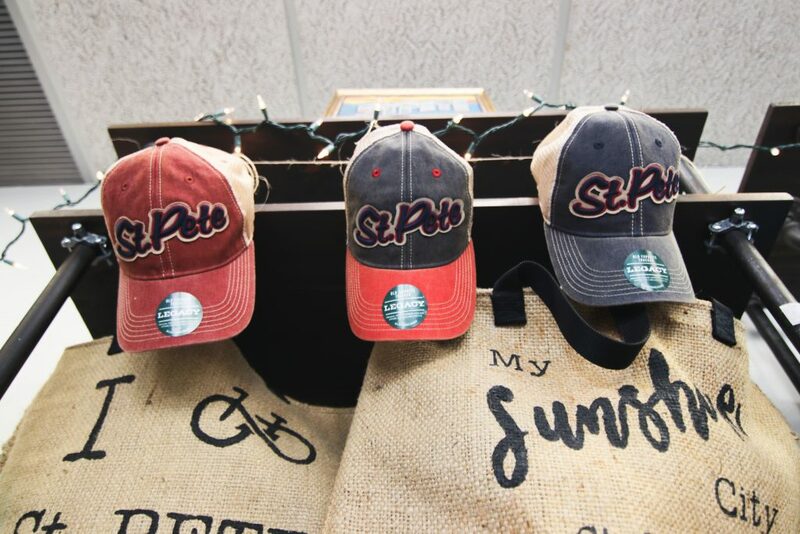 A veritable one-stop-shop, the St. Pete Store has everything you need to plan the best vacation or stay-cation possible. The St. Pete Store & Visitors Center is open Monday-Wednesday and Saturday from 10am-5pm; Thursdays and Fridays from 10am-6pm, Closed Sunday. It is located on the corner of 2nd Ave N and 1st St N at 100 2nd Ave N. For more information, visit their Instagram, Facebook, or Website, or call (727) 388-0686. If interested in selling your work or volunteering at the store, please email Shelli Hemans at shemans@stpete.com. By day, Megan writes, project manages, and plays an executive assistant who needs an assistant at Big Sea. By early morning and late night, she lives at CrossFit9 with a barbell in her hands. She believes that exercise is the greatest prescription for every ailment, but that a hot cup of coffee and a nice sour beer will do in a pinch. 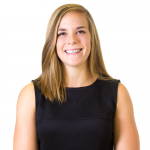 She loves all things local – so you might spot her trying out a new eatery, biking around this beautiful city, or walking her beloved Shiba Inu, Max.